These past couple years as a language arts teacher have been life changing. I have discovered my passion for teaching this subject area and am so glad I do. 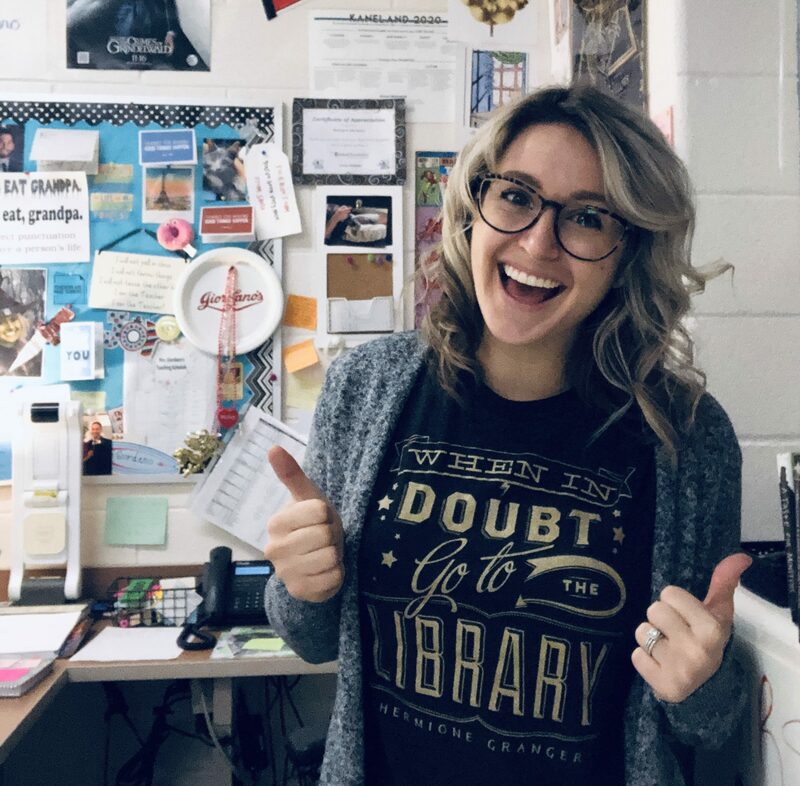 I love connecting with students over different books, discussing our reading preferences, and helping students discover the magic within writing. I speak to the beauties of this content area quite often, so much so that I haven’t shared much of my journey through it. This week, I was reading this article from the New York Times. It took me back to my early days, just after my switch from teaching math. The uncertainty that came with this new content area was present, but it was compounded immensely by my realization and subsequent fear of having to teach writing. The fact of the matter is that teaching writing is hard. And what’s more, I was wholly underprepared to teach it. I know I’m not alone in this. Dana Goldstein cites several experts in the Times article, and has an accurate depiction of this issue. This is a portrait of my own experience with this specific content area, and it’s not a unique one. Entering into middle school language arts, the most recent writing experience I had was years removed. And to add on to that, the writing I did was purely technical, research-based, college writing. In no way had I developed a writing process or style that was my own. I knew how to produce a paper to meet a given, intended purpose. Barely. We are actively putting educators into positions where they are tasked with helping students develop their voices, cultivate a powerful and important skill, and giving them little to no information on how to do so. On top of assigning them this huge responsibility, we are expecting them to just figure out how to do it. The process of finding tools and determining what would work best for my students was trying. I spent a ridiculous amount of time in my classroom going over grammar worksheets, marking up papers with my grading pen, and writing rubrics to determine how many spelling and punctuation errors would result in losing points. What I failed to do was become a writer myself. During my graduate program, I had some encouragement from a professor to start a blog and co-publish a piece in a column she wrote for the Illinois Reading Council journal. And, for those of you out there who know and some who have not yet have experienced it, grad school requires a huge amount of writing. I am so thankful for this experience because it challenged me to begin writing. It pushed me to publish my own work for an authentic audience and to do so regularly. It helped me to discover and develop a writing process that worked well for me. Starting there, I became a writer. And because of that, I became a much stronger writing teacher. Being “in the trenches” helped me to identify the struggles that come with writing. I could relate to students who were frustrated at not being able to get an idea on paper the way they wanted to. I understood with the absolute irritation that accompanies revising the same piece for the second, fifth, twelfth time. I was right there with them writing, struggling, and overcoming. I was unable to communicate to my students how to engage in the beauty of writing because I had never had this experience. I was unsure of how to explain what the production of a piece should look and feel like because I had no real idea myself. I expected far too much at times because the difficulty of what I wanted them to do was lost on me—I didn’t understand just how challenging it could be until I personally tried to do it. I did not become an effective writing teacher until I fully appreciated the art of writing for myself. Writing is a beautiful thing. It’s a gorgeous expression of self to others, and has so much potential and influence. When we experience this for ourselves, it’s clear why it’s such an important skill to teach. Through these discoveries, writing has become my favorite aspect of language arts to teach. No matter the genre, teaching my students to express their thoughts and find their voices is a great responsibility that is not lost on me. Writing with them and becoming a writer myself has allowed me to take on this responsibility with confidence and understanding. It has provided me with the insight and tools necessary to help my students find their own writing process and develop their skills. It has given me patience and empathy so I can give them room to experiment, fail, and discover their strengths. And, above all, I have seen how compelling this medium can be. I have seen its influence and the joy it can bring, and can pass that appreciation and awe on to my kids. I’ve discovered a few tips for teaching writing that aren’t so shabby either, if I do say so myself. At the end of the day, there are some definite shifts that need to be made in teacher education that better equip our educators to teach writing. I will endlessly and loudly advocate for these changes to happen, whenever I have an opportunity and a willing audience. Have empathy, provide choice, and for the love of our students, be a writer yourself. Discovering that you have to be a writer — yourself — in order to teach writing well is huge. You unlocked the secret to being effective at doing this important work.